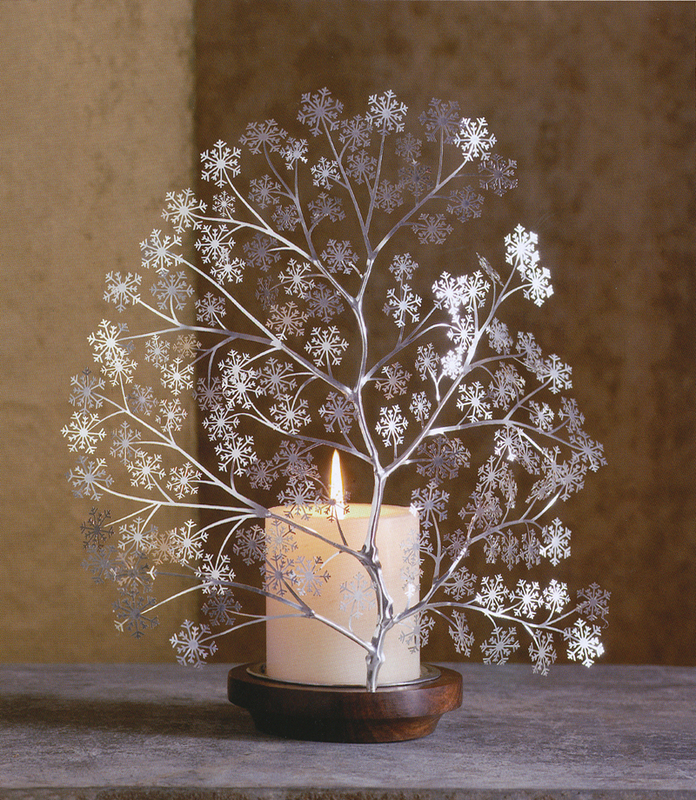 Create instant holiday atmosphere with our exquisite silver snowflake snow tree candle holder. This beautiful candle holder features stunning intricate details with its leaves shaped like snowflakes. This highly decorative snow tree candle holder is meticulously crafted with thin sheets of silver plated steel. A solid oiled shesham wood base anchors the wonderful snow tree. A shiny nickel disk safely supports a taper or pillar candle (not included) behind the silver branches. Ships flat-packaged. Easy assembly required. Material: silver-plated steel, wooden base.